Olivier Tambosi, who was born in Paris, studied philosophy and theology at Vienna University and opera directing at the Vienna Music Academy. His engagements have included new productions at famous places all over the world like Metropolitan Opera New York, Royal Opera House Covent Garden London and the opera houses in Chicago, Houston, San Francisco and Los Angeles, Barcelona, Helsinki, Strasbourg, Hamburg and Vienna. During his engagements he directed works like „Jenufa“, »La Bohème«, »La Traviata«, »Die Entführung aus dem Serail«, »Lulu«, »Tristan und Isolde«, »Pelléas et Mélisande«, „Falstaff“, »Luisa Miller«, »Rigoletto«, »Wozzeck«, „Die Meistersinger von Nürnberg“, „Die Fledermaus« »Lucia di Lammermoor«, „Manon Lescaut“, „Un Ballo in Maschera“ und »Otello« and much more.. Collaboration with conductors as Seiji Ozawa, Bernhard Haitink, Antonio Pappano, Donald Runnicles, James Conlon, Peter Schneider, Jiří Bělohlávek, Bruno Bartoletti, Vladimir Jurowski or Philippe Auguin and singers like Karita Mattila, Nina Stemme, Eva-Maria Westbroek, Anja Silja, Eva Marton, Deborah Polaski, Linda Watson, Barbara Frittoli, Angelika Kirchschlager, Daniela Barcellona and Neil Shicoff, Ramon Vargas, Marcelo Alvarez, Joseph Calleja, Vladimir Galouzin, Christopher Ventris, Bryn Terfel, Dimitri Hvorostovsky, Lucio Gallo, Ferruccio Furlanetto or Eric Halfvarsson. He formed Austria’s first independent opera group, the Neue Oper Wien (N.O.W.) in 1989 and was Artistic Director of the company until 1993. 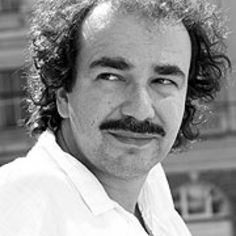 1993 -1996 Olivier Tambosi was Artistic Director for Opera at the Stadttheater in Klagenfurt.